PowerMultisport: Cinco de Mayo - Get your Taco Traps! Cinco de Mayo - Get your Taco Traps! 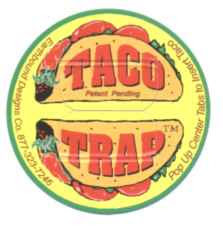 Taco Traps - I saw these in the store the other day - I can see where you could have a lot of fun! Monday was a rest day - the plan had just given me a day off last Friday. I am not used to this time off - I don't like it but I did take the day off - mainly because of the poor mile repeats that I had on Sunday. 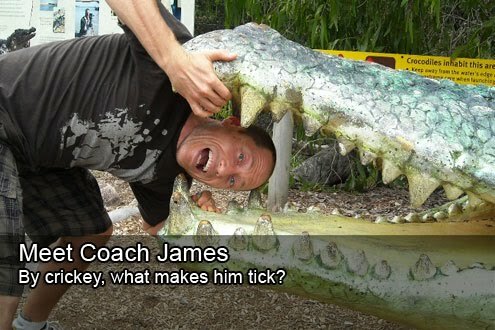 I would have liked to have been much faster. I ran for an hour on the treadmill this morning. It was a 60 minute run at 150 beats per minute. This would be low zone 2 for me. For my recovery runs and longer slower run I usually keep the heart rate in the 140's. I warmed up for 5 minutes at a very slow 10 minute / mile pace. I then set the treadmill for seven minute miles to get the heart rate up to 150 and then I backed off of the speed to try to stick the heart rate. I had to keep slowing the speed down to keep the heart rate at 150 - I ended up with 6.4 miles in 50 minutes (7:48 minute per mile). I was disappointed - this felt harder than it should have and slower than I wanted. Had a 5 minute cool down at 10 minute / mile pace. Over all it was 7.4 miles in 60 minutes at a low zone 2. I would like to kick it up a notch or two and try a fast tempo run. I'll check the training plan and see where that fits in. Off to the pool at lunch with some lifting afterwards. On the diet front - it has only been a few days but I am sticking to it. There is a track-on-tap (run to bars with the running club) for Cinco De Mayo - I'm sure that won't help!